David Witzthum was born in Petah-Tikva, Israel. His father immigrated from Berlin, his mother from Chernivtsi. He grew up (with his sister Orna) in Haifa and graduated from the Hebrew Reali School in 1966. After military service as a meteorologist in 1966-1969, he earned aB.A. in Political Science and International Relations at the Hebrew University of Jerusalem (1969–1972). A year later, he won a scholarship for graduate studies at the Collège d’Europe, in Bruges, Belgium, on European Integration, (Promotion “Mazzini”, 1974), and then went to Oxford University, England (political philosophy, 1974–1977, at Wolfson College). Later, Witzhum received his M.A. 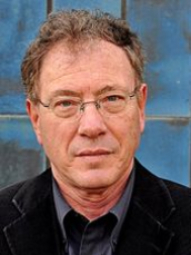 Degree from the Hebrew University (Political Science) and started research towards Ph.D. at the Hebrew University (2nd and final stage – of actual writing the dissertation on “the image of Germany in Israeli television, 1970–1995”). He serves on the Advisory Board of the Israel Council on Foreign Relations. Witzthum is married and has two children and one granddaughter. His wife Tsipora works for the classical music department of Israel Radio. The family lives near Jerusalem, in Mevaseret Zion.